Guaidó is not expected to lead Venezuela toward democracy, but to collapse a country that for the past two decades has been a bulwark of resistance to US hegemony. 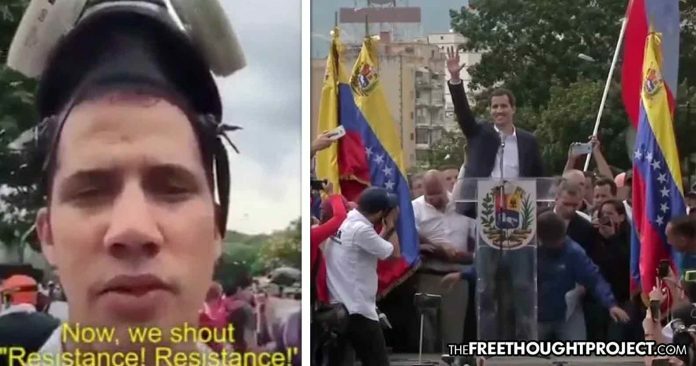 (Grayzone Project) — Before the fateful day of January 22, fewer than one in five Venezuelans had heard of Juan Guaidó. Only a few months ago, the 35-year-old was an obscure character in a politically marginal far-right group closely associated with gruesome acts of street violence. Even in his own party, Guaidó had been a mid-level figure in the opposition-dominated National Assembly, which is now held under contempt according to Venezuela’s constitution.